As Nathan approaches his second birthday, I find myself re-living the day he was born. It was Wednesday 25 January – Robert Burns Day – and (after the rather exhausting labour and delivery, followed by a fairly traumatic recovery for us both which ended up with Nathan being admitted to the baby unit), one of the things I remember most is what I ate for dinner: haggis. Although the day itself was a bit of a blur (you can read about it in this post, if you want to) I’ll never forget the hospital food, which was actually pretty decent. What else would they have on Burns Night, but haggis, ‘neeps and tatties? It was served to me in my hospital bed and even the takeaway counter in the main concourse was doing haggis, so Kris had it too. 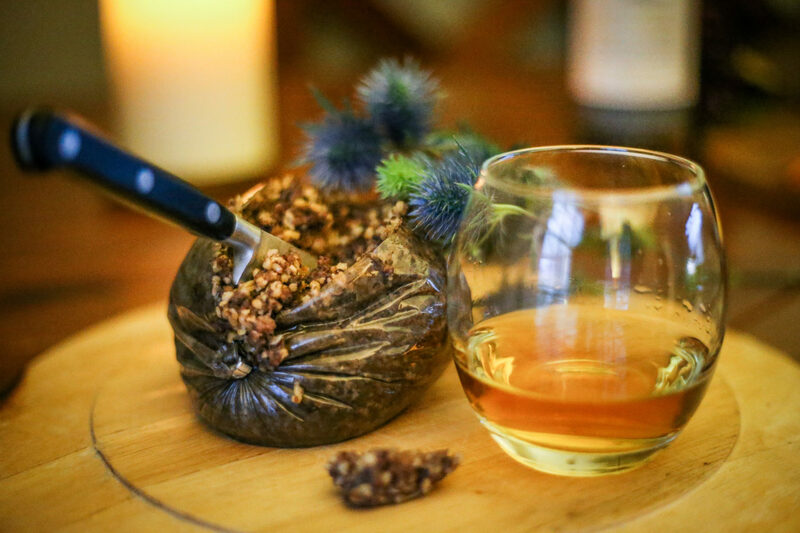 You can probably understand why haggis now makes us both think of that special day. 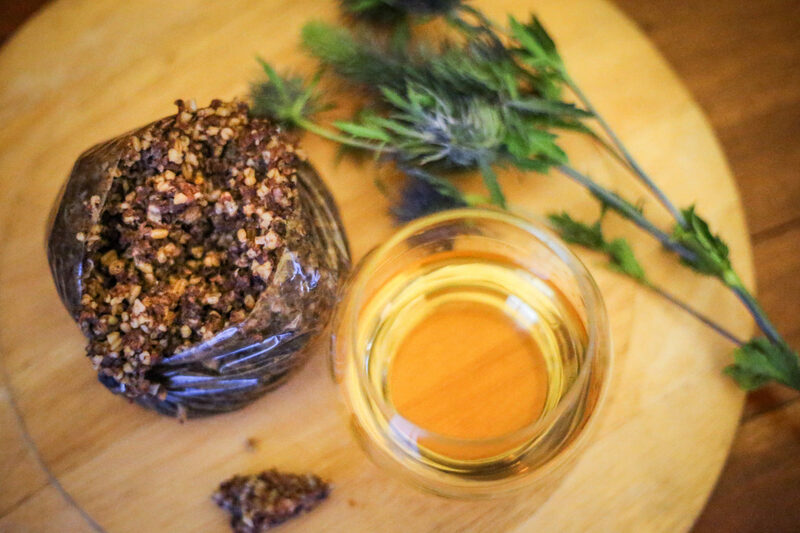 So when Marks & Spencer approached me about doing a Burns Night supper blog post I knew it was a natural fit – Kris and I often joke with each other that it won’t matter what Nathan requests for his birthday tea – he’ll probably always end up with haggis! Haggis – specially made for Marks & Spencer by Macsween of Edinburgh (they have a range of different sizes as well as a veggie option which Nat Bees tells me is amazing). Potatoes – M&S has worked with suppliers for over 20 years to supply the best quality for their customers, and they’re particularly great for mashing. Swede – home-grown in Scotland. Baby carrots – grown in Scotland exclusively for M&S. Whisky sauce – this is a brand new product (developed because customers were asking for it) using Scottish whisky and grain mustard, made to a traditional flavour and costing only £1. Whisky – Marks & Spencer has a strong range of core Scottish whisky, including the popular Speyside Whisky (there’s 20% off the core whisky range until 29 January). 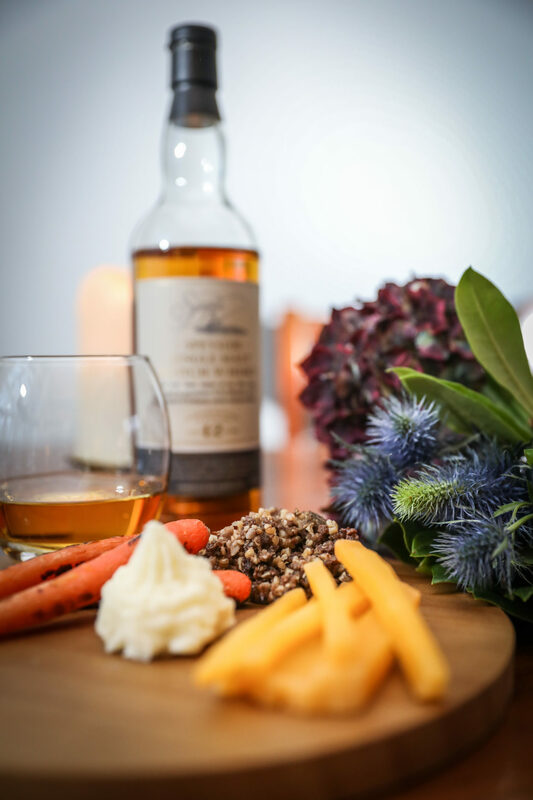 To make sure we had this blog post ready in time for Burns Night, we had our supper at the weekend. 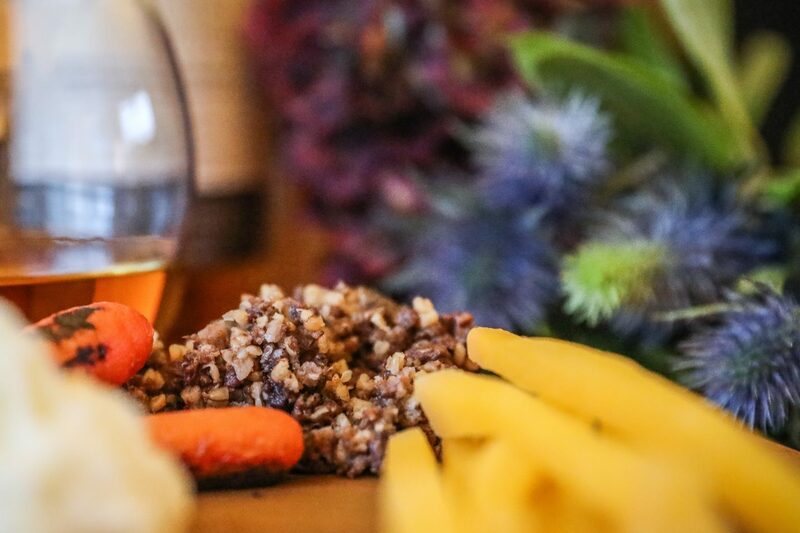 What was really special was that Nathan enjoyed it with us for the first time – though he had a nice wholesome plate of haggis, classic mash, with carrot and turnip mash. But no whisky sauce! 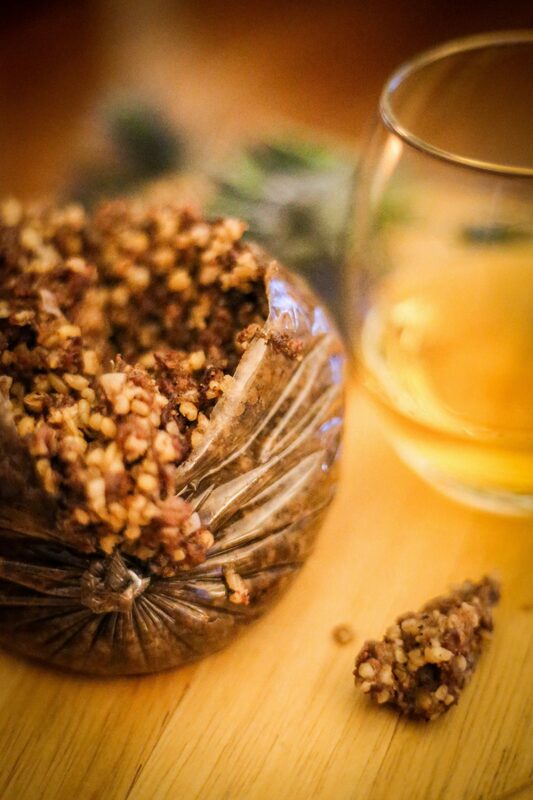 The haggis was truly delicious – crumbly and soft and peppery, just the way we like it – and really easy to cook. I followed the very simple instructions: wrap the haggis tightly in tin foil, place in a baking tray with 2cm of water and cook in the oven for 1 hour 20. Once it was ready, we sliced the skin and watched the haggis pour out. We popped ours under the grill for five minutes to give it a bit of a crispy texture. 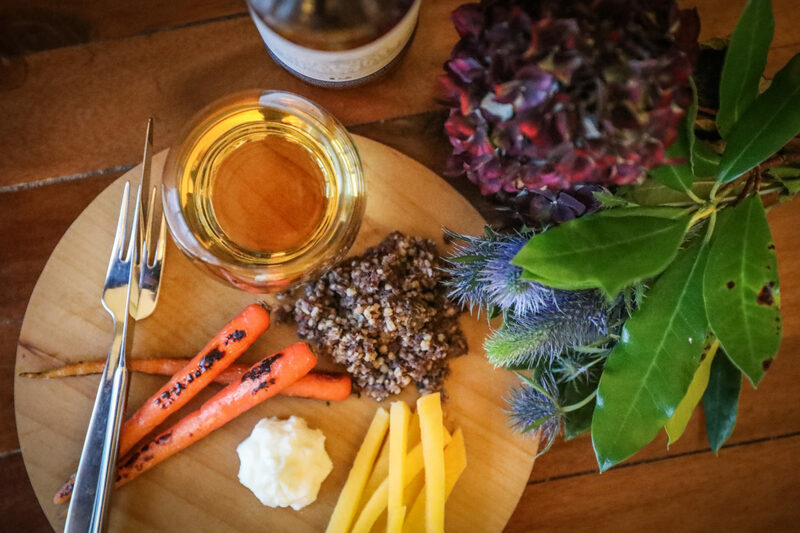 Haggis is a hearty, warming dish that fills the soul as well as the belly, but that doesn’t mean it has to be heavy. Instead of a heaped spoonful of potato mash, we piped a modest amount onto our plates, adding beautifully colourful (but light and nutritious) veg – seared baby carrots, left whole, and skinny ‘neep batons. I did have a small glass of whisky, which felt like the finishing touch to our Scottish supper. Kris told me to add a tiny splash of water, and let the whisky just touch the lips to discover the flavour, and he was right. I want to thank Marks & Spencer for approaching me about this post. The 25 January is such a special day to us, as is the classic Burns supper, and sharing our first Burns Night supper with Nathan really has made his second birthday as memorable as the day he was born. Having guests for supper? Try dressing your dining table with dried hydrangea and purple thistles, and perhaps a navy tartan runner. Set the haggis on a chopping board or slate in the middle of the table as centre of attention, ready for the ‘Address to a Haggis’. 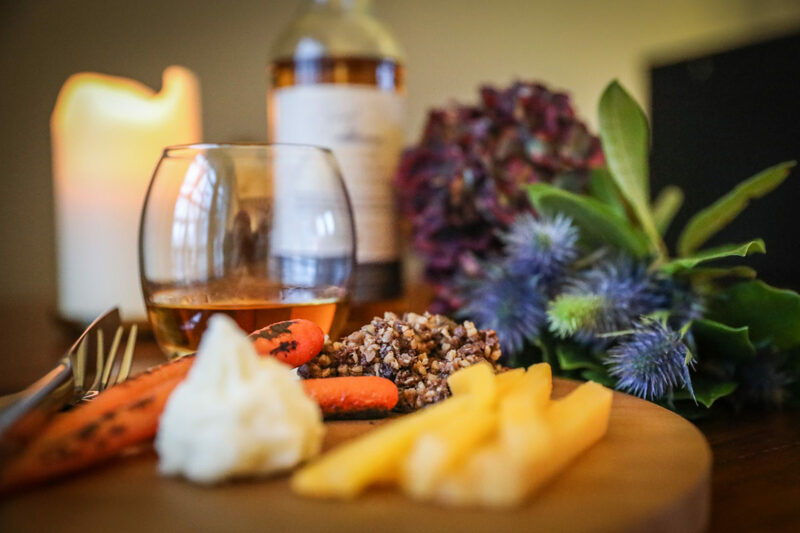 A bottle of whisky and a large candle dripping with wax will create a warm atmosphere to complement the hearty meal. This is a sponsored post in collaboration with Marks & Spencer. Visit Marks and Spencer online to find your nearest store.